View the map to visit us. You can also check them out at our online catalog here. 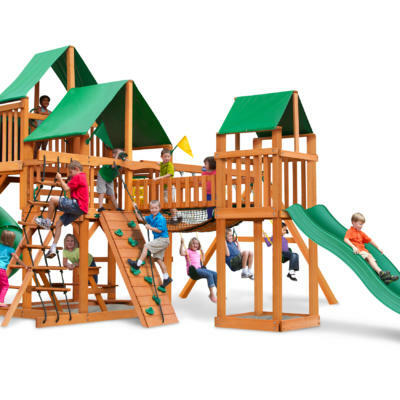 USAPlay is a factory direct seller of PLAYNATION PREMIUM RESIDENTIAL PLAYSETS. 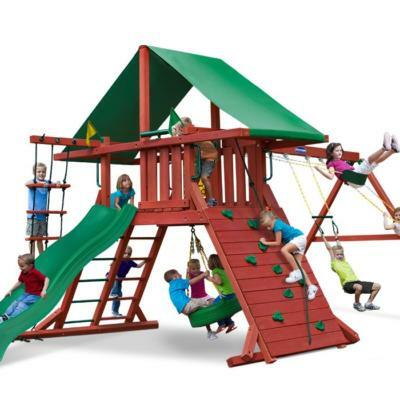 PlayNation Play Systems is the top manufacturer of swing sets and swing set accessories. 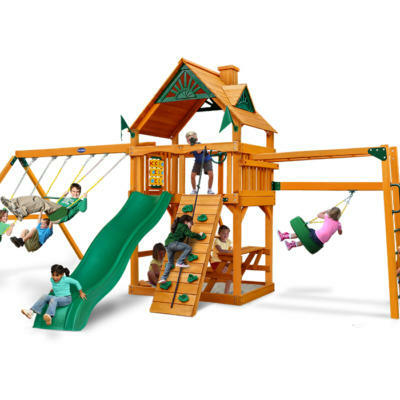 Our wooden swing sets come in a variety of colors and choices. 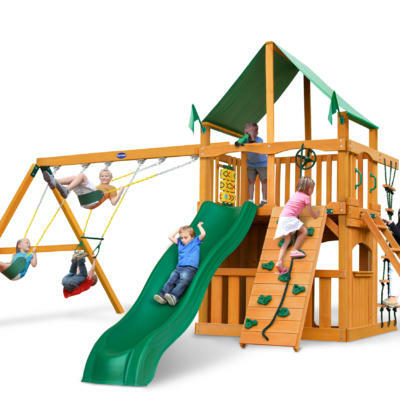 We offer our playset customers choices on lumber as well as accessories and sizes. 1. START WITH A GREAT DESIGN. 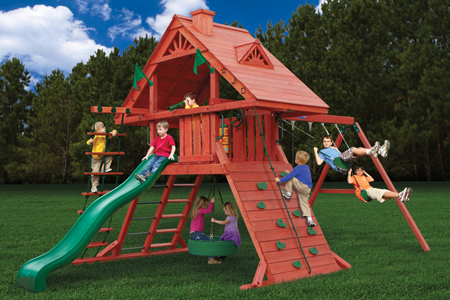 Our design team consists of master builders, engineers, and professional draftsmen with more than 100 years of combined experience creating the world’s safest and most innovative swing sets. 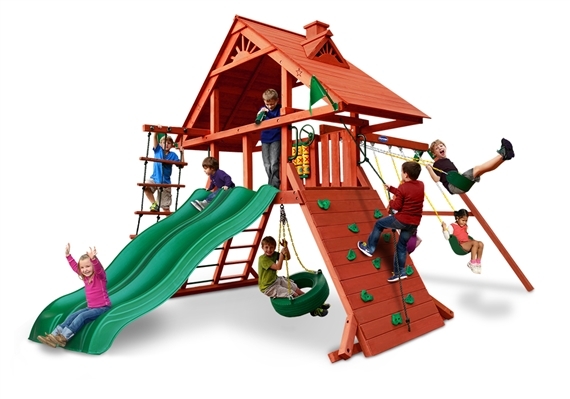 We integrate features that kids can enjoy throughout their entire childhood, so the swing set remains an active part of their lives for many years. 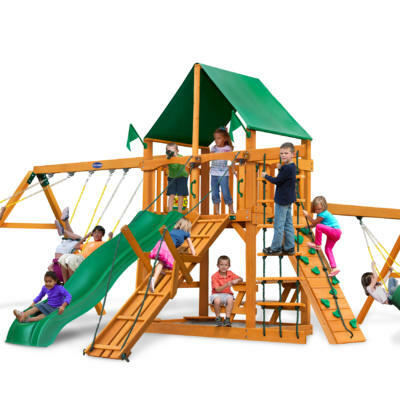 With the use of quality wood, commercial-grade hardware, and our unique safety features, our swing sets continually raise the bar in terms of quality, safety, and durability. 2. USE HAND SELECTED LUMBER. 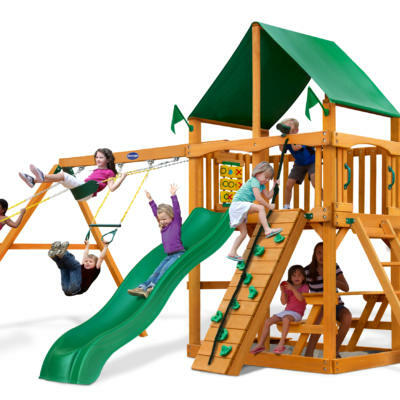 All of our lumber is hand selected at the mill to assure that only the very best lumber is sourced for our swing sets. 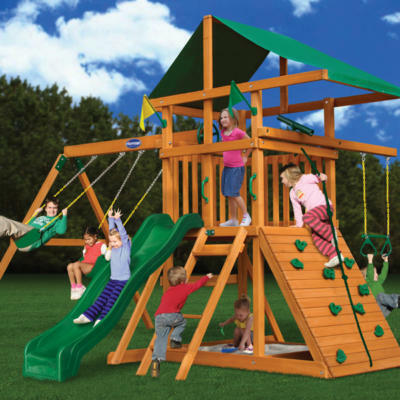 Our lumber is durable, resistant to rot and decay, and stands up to the rigorous play of even the most active kids! 3. USE THE BEST COMMERCIAL-GRADE HARDWARE COMPONENTS. 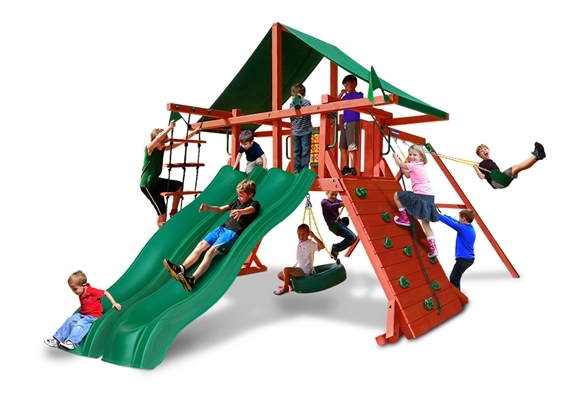 The integration of quality hardware components, such as electro-galvanized fasteners, helps ensure the safety and durability of our swing sets. Even our rock-solid iron swing hangers are bolted completely through our swing beams with carriage bolts and lock nuts. 4. TAKE SAFETY TO A WHOLE NEW LEVEL. 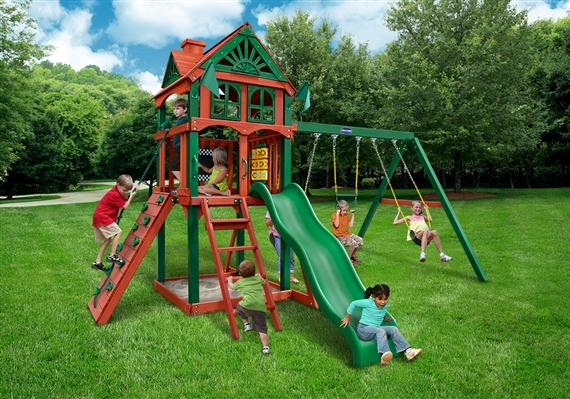 At PlayNation, our first and most important focus when building a swing set is the safety of your children. This is why we use only the safest hardware and lumber and we integrate unique features such as flat and wide ladder steps, sanded-smooth edges, recessed and capped bolts, 800 lb. 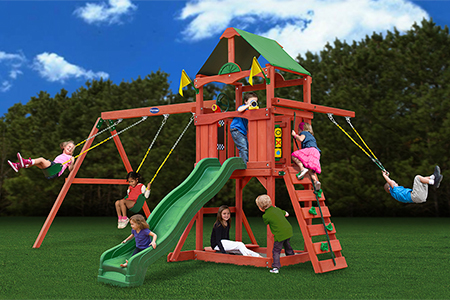 test pinch-free swing chains, strategically placed grab handles, and extra sturdy slides. 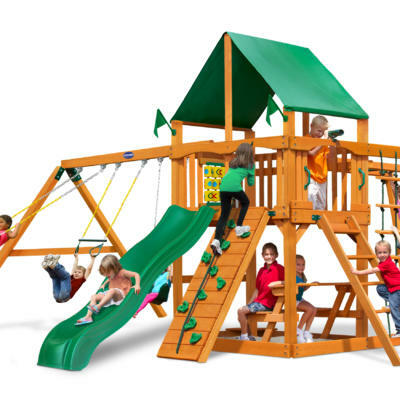 Moreover, we thoroughly test all activities on the swing set to ensure that they are free of conflicting play zones. 5. ADD THE BEST FEATURES! 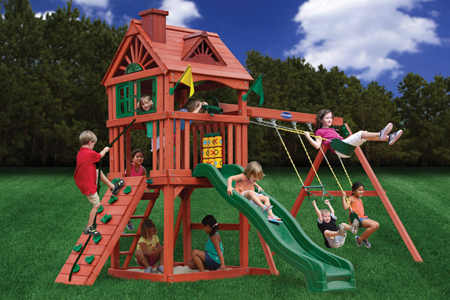 Your kids will love all of the thrilling features on our swing sets. 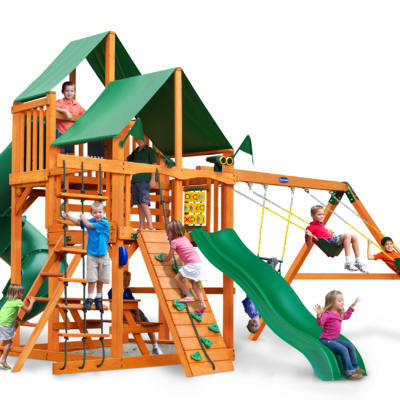 From our high flying deluxe swings and extra fun slides to our covered forts and challenging rock walls, there is something for kids of all ages. 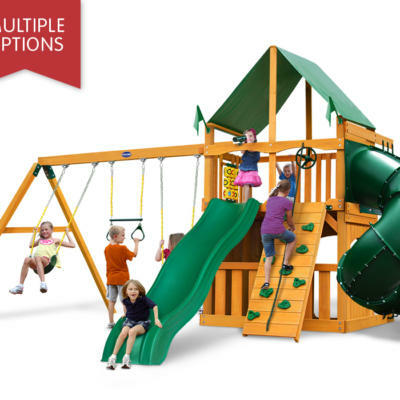 Best of all, your PlayNation swing set can be customized with an almost unlimited number of options. 6. BACK IT ALL UP WITH THE INDUSTRY’S BEST WARRANTY! We offer delivery and installation! 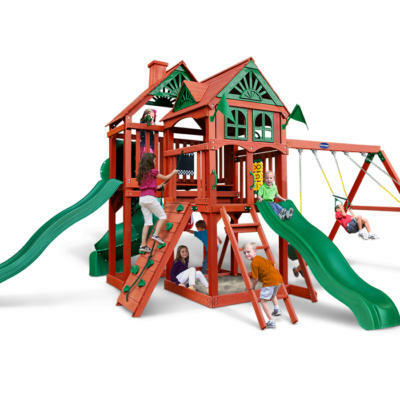 Want the playset but don’t want the hassle of having to install it yourself. No need to worry. 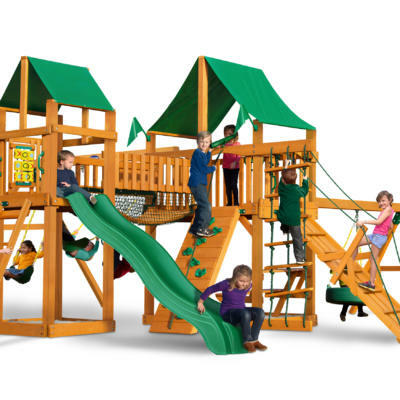 You can also it installed by one of our PlayNation Certified Installers for a great price. 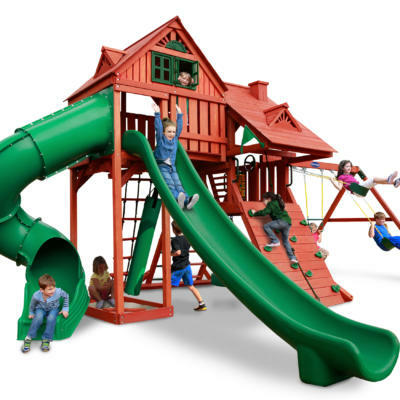 We will install all across the Upstate including but not limited to Greenville, Spartanburg, Anderson, Laurens, Gaffney, Pickens, Oconee, Cherokee and Greenwood Counties. 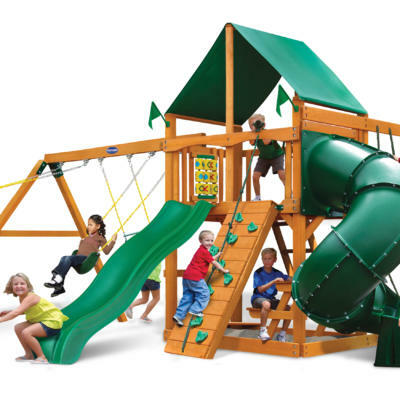 Just order it and put in the comments that you want it delivered and installed in the comments section. 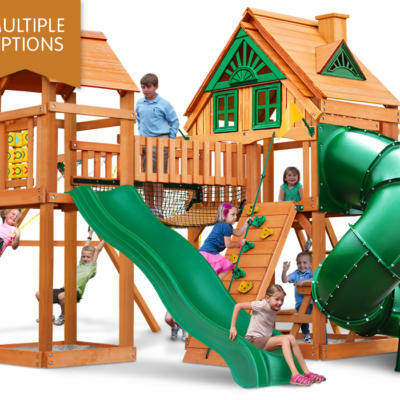 Please note that installation costs listed are for homes within 30 Miles of our Greenville, SC location. Additional charges apply for further distances. 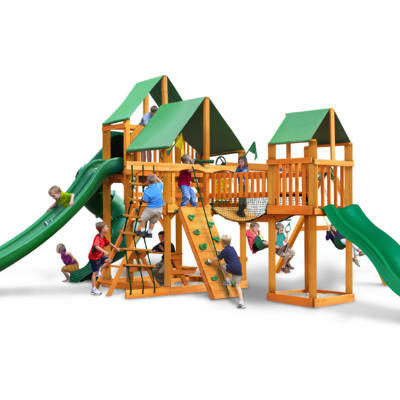 Having a hard time picking a playset or do you just want to see and feel the sets? Come into our 6,000 square foot showroom and take one for a test drive. 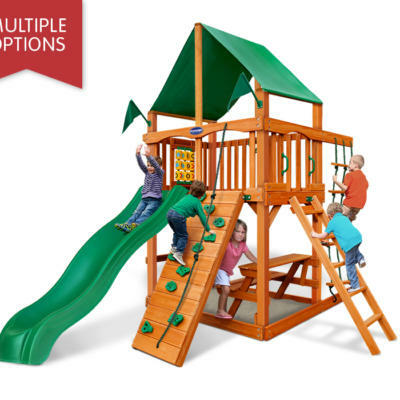 We would be glad to talk to you about your family, space and budget to make a recommendation for the best set for you. 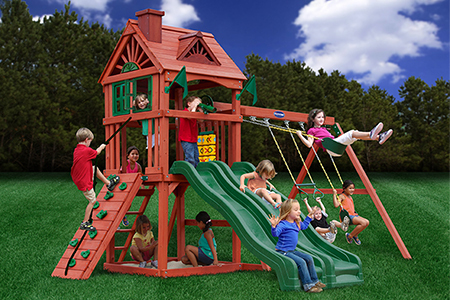 Once you see the quality and safety of our playsets, you will quickly realize that USAPlay is the smart choice. Business Hours: ***WE WILL HAVE ABBREVIATED HOURS FROM OCTOBER 30TH – NOVEMBER 6. TUESDAY – FRIDAY 11 – 3:00, SATURDAY 10 – 3:00. WE WILL RETURN TO OUR NORMAL HOURS NOVEMBER 7. 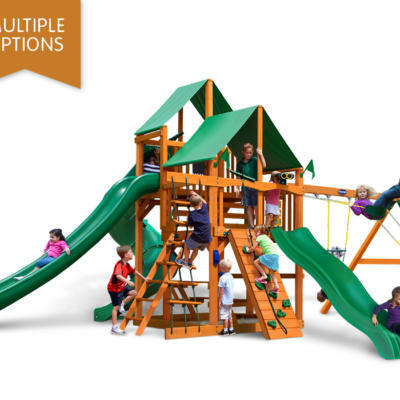 You can also see our complete catalog by clicking HERE!